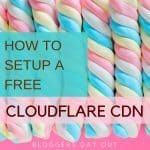 Have you included a free Cloudflare CDN on your website yet? If not then do it right now as a CDN will route the website traffic through its own nameservers thus decreasing the load time. The other effective methods to increase website speed is to leverage browser caching which will dramatically increase site speed. Browser cache and the reason to leverage browser cache. Test loading speed of the website. An effective plugin to add expires headers which work like a charm. When we visit a webpage for the first time, our browsers store the static files as html, CSS, jS, favicon, graphic images, etc to a temporary storage location in our computer. Hence, when we re-visit that webpage then the browser does not have to download the same piece of information from the server once again, rather fetches the data from directly from its cache. This practice reduces the bandwidth from both the user and server side and hence results in faster loading of the page. This process is called browser caching. 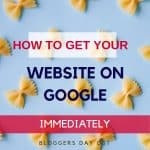 If we can cache our website resources on our visitor’s site then it will make the pages load faster whenever they return to the same web pages. Though it is a rare occurrence, we do change our favicon, images and other files. So, if we add expires headers then we can tell our visitors browsers that till when they can use the previous set of downloaded data. Thus enabling leverage browser caching reduces the number of HTTP requests subsequently. 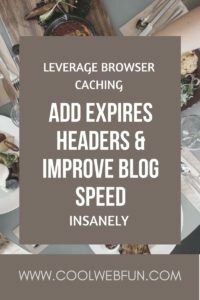 Before you leverage browser caching you should test the loading speed of the website. There are several tools available to check your website performance. Google PageSpeed Insight, GTMetrix, WebPageTest, Pingdom, Seo site checkup are among the popular ones. 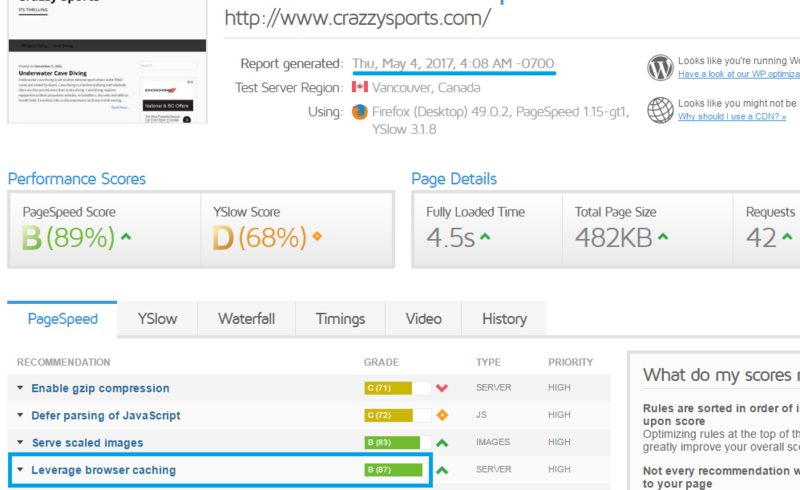 Here I am using GTMetrix to evaluate my web performance. You can find the striking difference between the two results after adding expires to specific resources. The fully loaded time has decreased by 33%. Leverage browser caching has gone up from grade 87 to grade 92. Page Speed score went up from 89% to 97%. Yslow score from 68% to 72%. 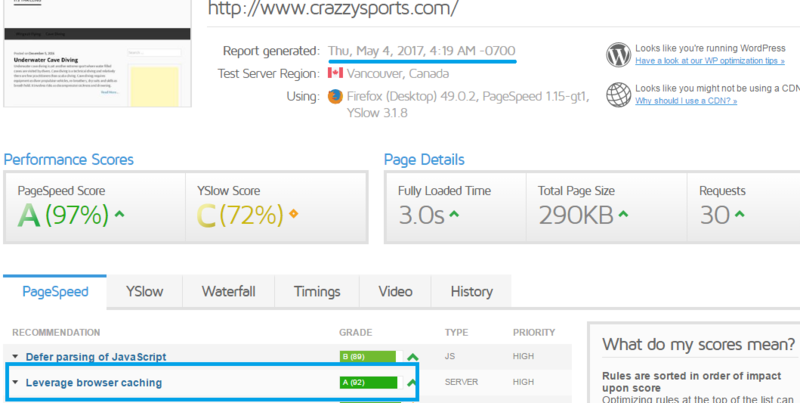 This is the advantage of using Gtmetrix as it gives both the page-speed and YSlow score. How often do you change the different files? Think about it as you will be setting different expires headers for different resources. It is not recommended to have a default expires headers set for all. Your text and image files will definitely be more active than your site logo and stylesheets. HOW TO ADD EXPIRES HEADERS? 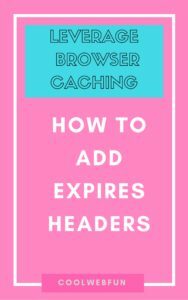 When you add expires headers it means that it will be cached in your visitor’s browsers for the amount of time you allocate. Starting from Far Future expires. I have set my images to 1 month as it is likely that I will be updating my images frequently. 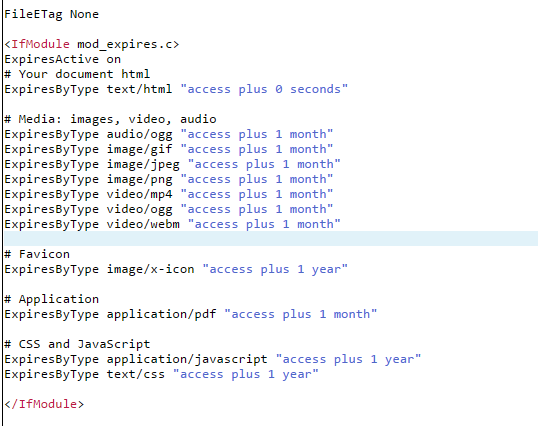 I have very simple coding included in htaccess file. 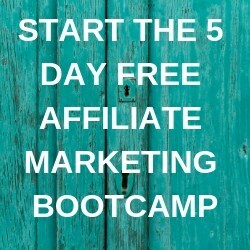 Setting up Expires headers completely depends upon you and the type of website you are running. 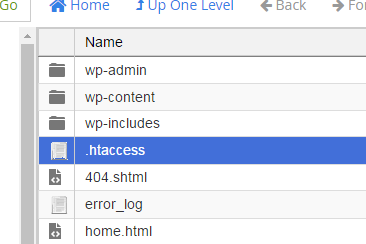 HOW TO ADD TO WORDPRESS HTACCESS FILE? Warning! Be very careful while editing your htaccess file. If you code something wrong you can mess up with your wordpress site. I recommend copying your original htaccess file content in notepad or word document. 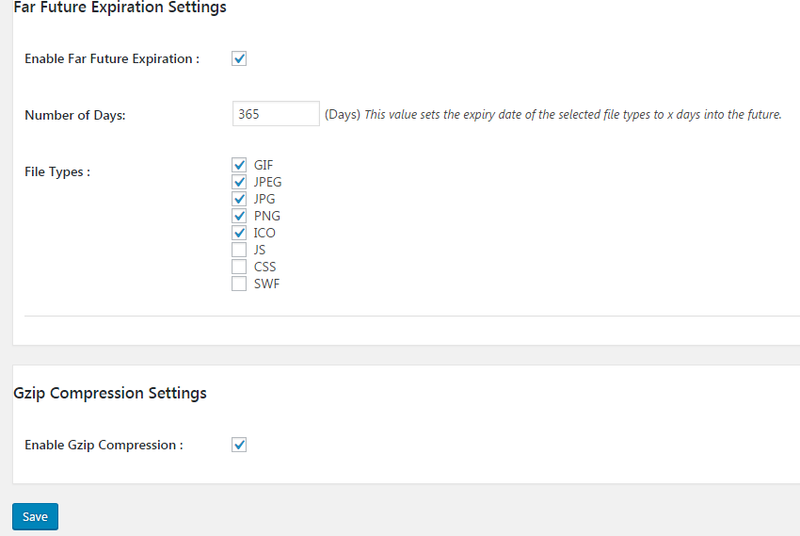 If necessary you can paste the original file content and go back to default htaccess file settings. 2. CPanel File Manager will open up. 5. 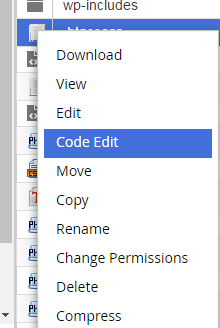 Start writing from where the default coding ends and SAVE CHANGES. 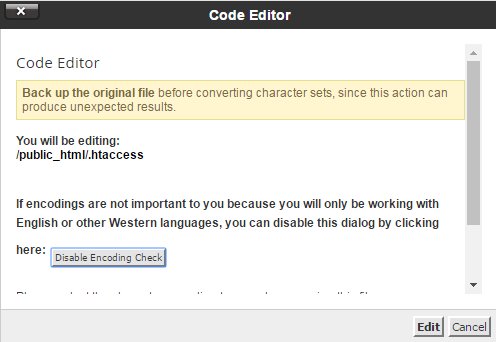 If you are editing the htacess file for the first time then you should have only <mod_rewrite> as default. If you are not very comfortable in editing your htaccess file then you can use a robust plugin for it. This plugin sets an expiry value for resources like images, Css, Js, and favicon. I have set it for 365 days. You can also tick on JSS, CSS files. I have omitted it as I am using W3 cache plugin which provides with similar kind of service. This plugin will give you some exceptional results. After including the above expires headers you will also notice that there is a surge in ‘Static Cache Content’ of Web test page results. Can you enable browsing cache for third-party resources as Google Adsense and others? No, you can not as they are external and you do not have control over their source files or the HTTP response headers. Check out all the other factors affecting the WordPress site speed. If you are concerned about your webpage speed then leveraging browser cache and writing the codes in htaccess file is definitely going to help you. If you modify your static resources before the expiry time mentioned then you can check the cache busting techniques or add last modified to the header. 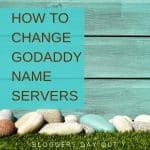 How to change GoDaddy Nameservers?